The ad reads: "The most expensive keyboard in the world. This rare masterpiece is made of 105 ivory keys, painted in pure gold with a brush made of virgin's hair. 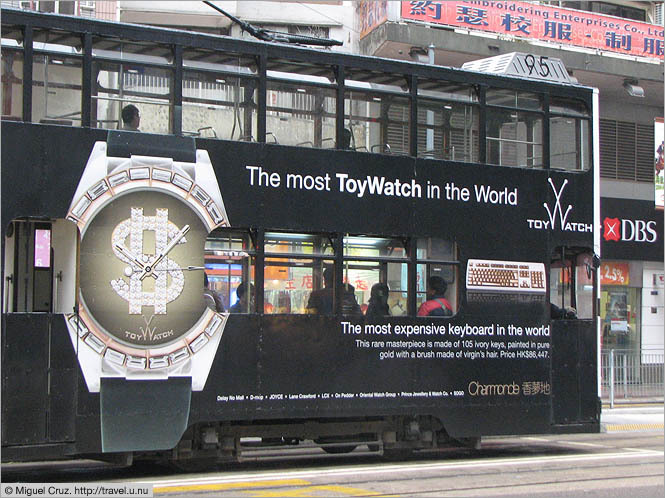 Price HK$86,447." That's US$11,500, for a really ugly-looking computer keyboard. Anywhere else, I'd think it's a joke. But in Hong Kong it makes perfect sense.